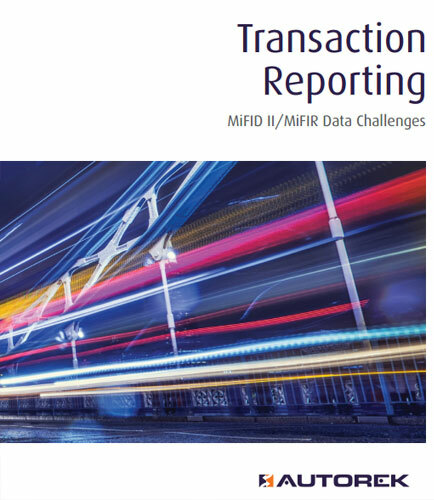 "Transaction Reporting: MiFID II/MiFIR Data Challenges"
Transaction Reporting is one of the key priorities for regulators. Some are already warning that there will be no latitude for non-compliance, including late reporting. The aim of Transaction Reporting is to assist EU regulators in the detection and investigation of suspected market abuse. By implementing a robust, automated financial control regime, investments firms will ensure readiness for the significant changes MiFID II/MiFIR will have in respect of Transaction Reporting requirements. Currently there is divergence across Europe and the member states, in respect of the application of existing transaction reporting obligations. MiFID II is seeking to harmonise Transaction Reporting so that there is a more consistent approach.